Laura McBride's "Passion Project" to connect kids with nature in an engaging way, providing essential skills like gardening, cooking, carpentry & more. Laura donates time and a percentage of each real estate transaction, custom landscape design and installation to this 4 season, school integrated garden program. She has passionately inspired many children to get their hands dirty since 2015. I love watching my students learn with the garden everyday! 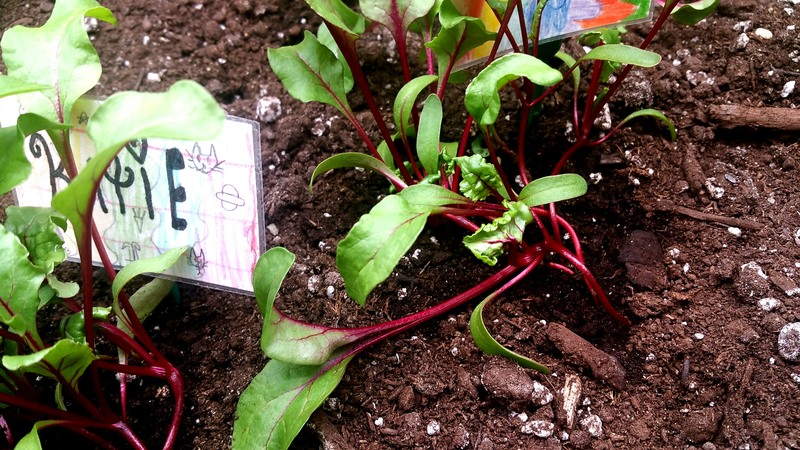 Edible Classroom is an 4 season indoor gardening program designed for Canadian elementary school classrooms. The objective of the program is to re-connect children with nature and empower essential life skills for a healthy, productive future. I founded the program with the collaboration and support of teachers and the program has been successful at integrating engaging, natural experiences with core curriculum strands in math, art, language, science, health and nutrition. I designed the garden itself t0 be an object of beauty in the classroom, to inspire calmness and creative thought for the students and their forward thinking/ collaborative teachers. As the project moves forward, new ideas, inspiration and collaborations will further expand the rich learning experiences the program offers to students from Kindergarten to grade 8.